Evening all, a question for you mercruiser experts out there. I’ve just done an impeller change and oil change and just filled it up with oil but I have a leak coming from the small hole on the lower right as you look at it..
any ideas which seal it will be passing from? I know I’ll have to strip it again but would be good if anyone has any knowledge of what might cause it? This forum software definitely needs an update. Oil coming from the water drain hole, is usually the lower gearshift oil seal, not a difficult job. 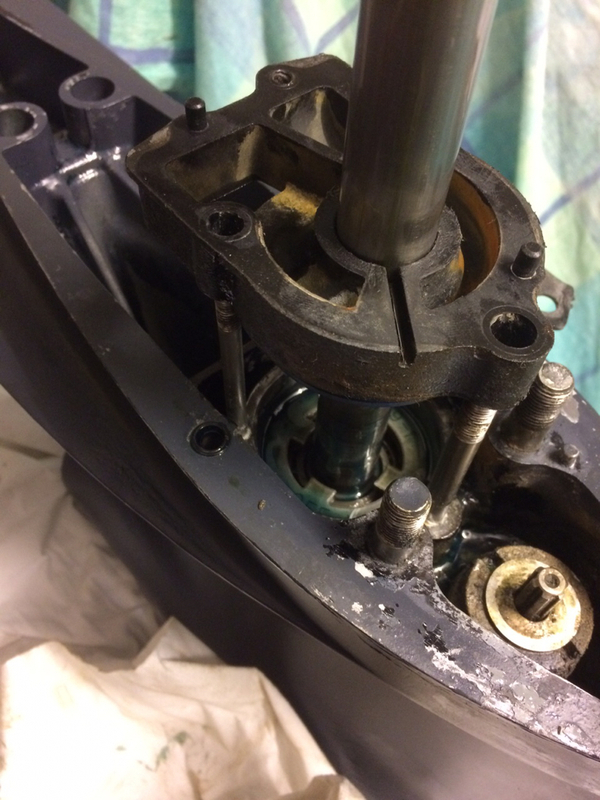 However if it wasn't doing it before the oil change a less likely option is that oil is leaking up the drive shaft, over the impeller housing and into the front cavity which has the water drain in. I think your is an Alpha Gen 2 but it will be similar to my Alpha 1 . I'll see if I can dig out some photos to see if we are on the same page. 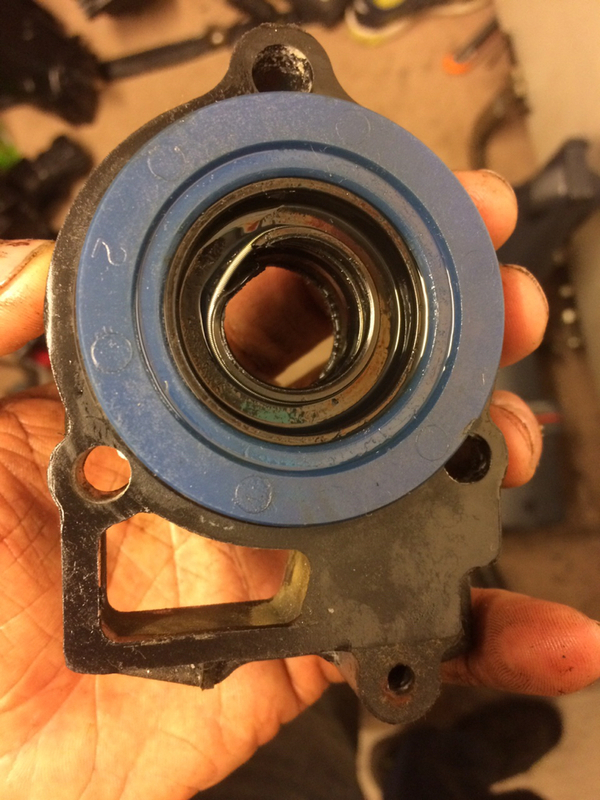 The part is actually called Shift Bushing but when you look it up sometimes, depending on which company it is, you'll get the bush in the bell housing come up which is the most common one, also know as the Shift Shaft Oil Seal. The part I think you want is in the lower gearbox housing and is the Gearshift Bushing. Replacement part no 21015 or Original 23-815921A21, please check it first but I think I'm correct. 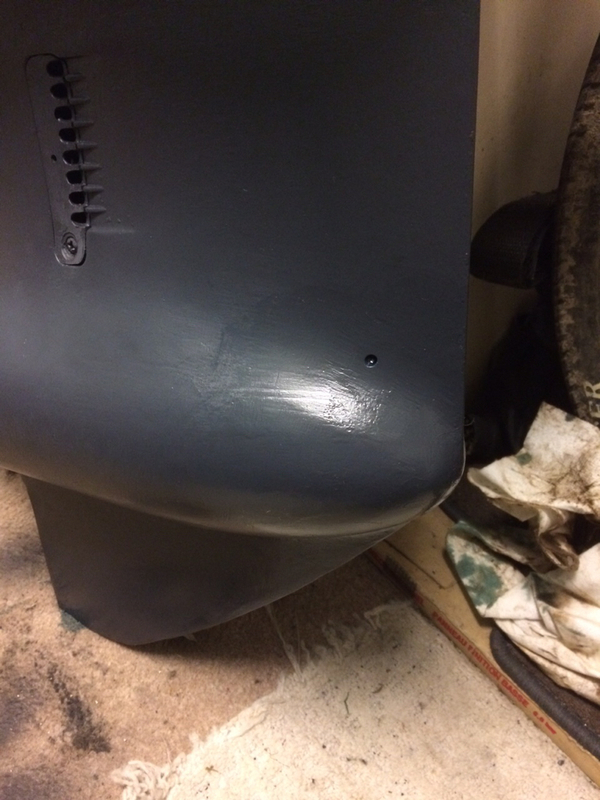 When it has failed oil leaks into the front cavity of the gearbox housing where the water drain hole is situated. Common Gen 2 seals in the lower leg are easy to fix, first off did you replace the O ring on the join lower leg to upper leg, this is not part of the standard 'change gasket ' kit. without it you will leak oil most likely from anywhere as it finds the easiest route out. more complex but common is the carrier seal on the drive shaft under the impeller - not sure where the lube would come out. You could find on either muck has got between the seal / shaft and will not leak after a clean. Assuming you didnt touch the upper unit theres not much else to leak thats not complex. for peace of mind make a up a pressure tester. mine is an unwanted lube filler end cable tied to a high pressure fuel hose - other hose end goes into a tyre valve -10p from any tyre fitter - you cut off the rubber rim lip to leave the valve stem - insert into hose and jubilee clip/cable tie. That goes onto a foot pump/bike pump with a gauge - pressure up to something low (cant remember how much but is easy to find online 5psi etc ) leave for 24hrs etc, assuming no leak the gauge remains as it is. assuming leak you'll see where the oil/air has burst through the seal or the seal will give as you pump it up, simple look see listen exercise. Obviously you can do damage by increasing the pressure but if you half intelligent it will be OK, I used to use a draper carb pressure gauge in between for detailed testing but gave up on that one - it worked easy enough assuming the fault is easy to spot. this way has found 3 leaks for me £££ saved is good in my book. good luck can post a pic if thats confusing to read and you need it . Thanks for the detailed responses. I stripped it again last night and it was the drive shaft seal below the pump housing. Easy enough to change. It must have caught as I pushed it back into place. To be fair, I should have changed it when I had it stripped. The only annoying hung is I’d got the full kit for the impeller change, now I’ve had to buy the exact same kit again with the added seal as it doesn’t come separately. On the plus side, gimbal and bellows still in tip top condition so comfortably another year out of those. A last few jobs, well, some quite big ones really but hopefully looking to get her back in the water soonish. Thanks again for the pointers. Thought I’d add the pictures just in case it helps anyone else in the future. Waiting on parts again now. is that G1? looks nothing like mine G2. the shaft seal is now a small unit 50mm dia sized, 3 holes to leaver out and a press gently to reinsert no nuts etc. just looking at the corner of that last pic its much different on the shift shaft to. Hmmm knackered seal though you must have been lucky, on both of mine that failed neither had any marks or damage, the first I think a line got caught under the seal as the shaft spun as a small bit of grit came out - second was just old n crispy.